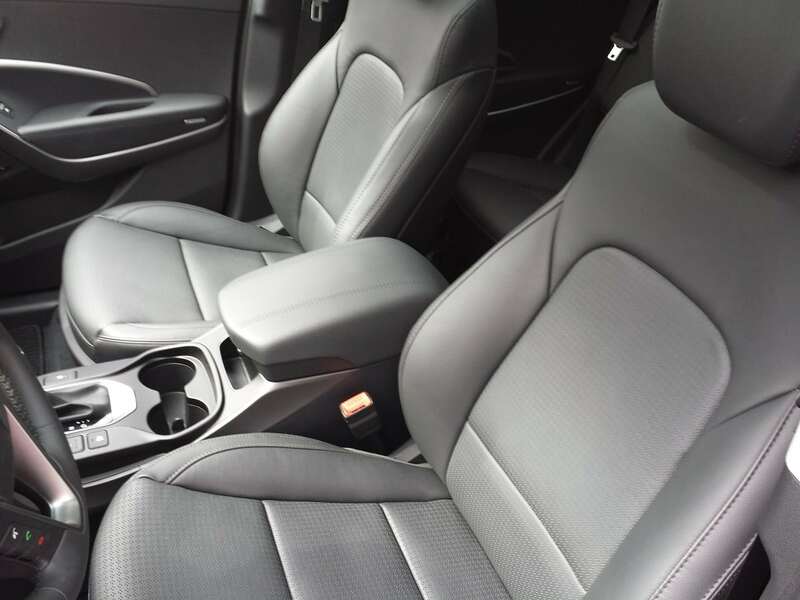 The family car as we know it has changed over time and no vehicle better suits the needs of many families than a mid-sized or compact crossover. 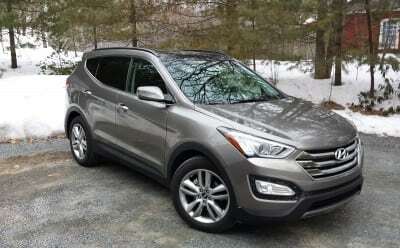 Hyundai’s Santa Fe deserves some serious attention in this segment for a few reasons. First, it has the best drivetrain. End of story. Next, it is sized to fit your family, not a segment. Finally, it is darn near perfect with one caveat we will tell you about at the end. The Santa Fe is now a two-vehicle nameplate. 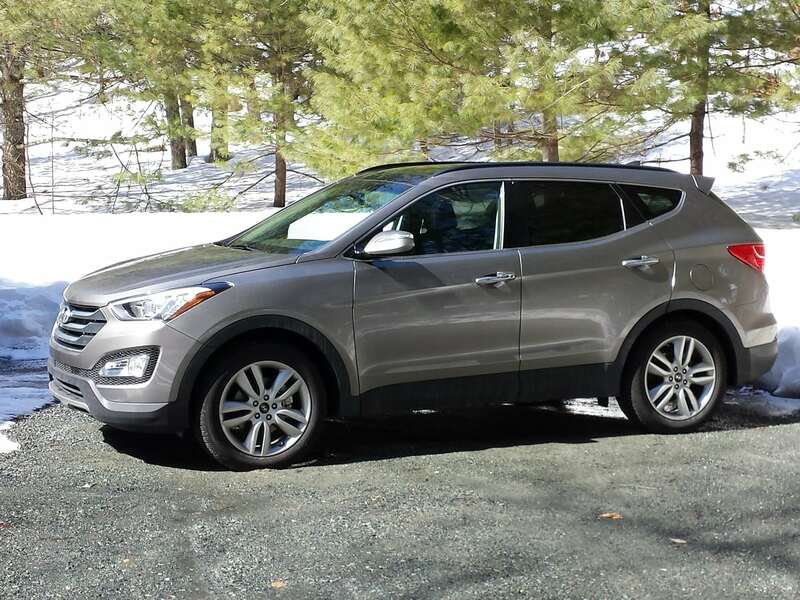 If you need a third row, your vehicle is the Hyundai Santa Fe, and if you need just five sets, it is the Santa Fe Sport I tested. This is a smart move by Hyundai. 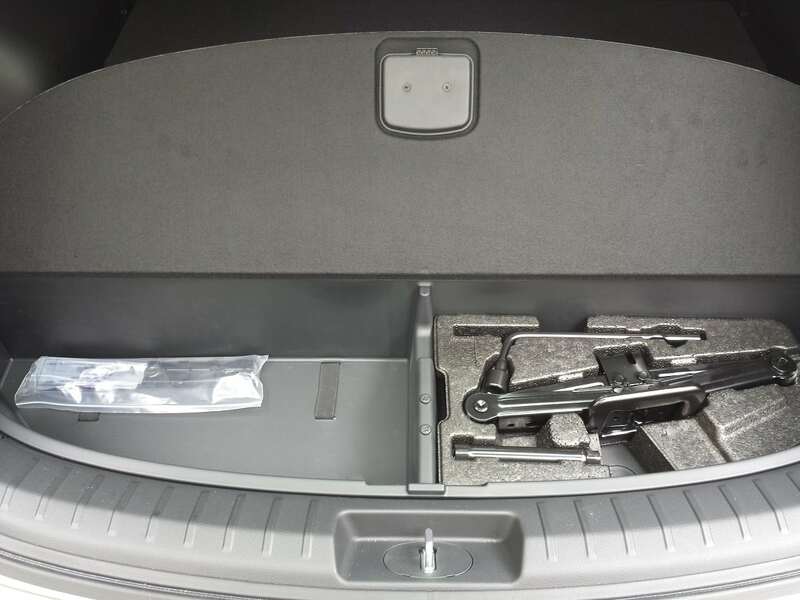 The company can share almost all of the components of the two instead of trying to differentiate the larger and smaller vehicles. Inside the Santa Fe Sport’s styling is modern and simple. 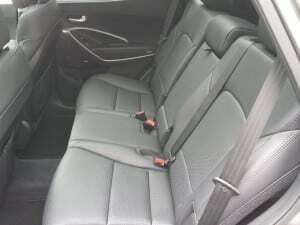 The seats are very comfortable, and the heated and ventilated leather has a premium, grippy feel. The dash is simple to operate, and the infotainment screen requires no mouse. I found it to be very easy to use and operate. The audio was outstanding. 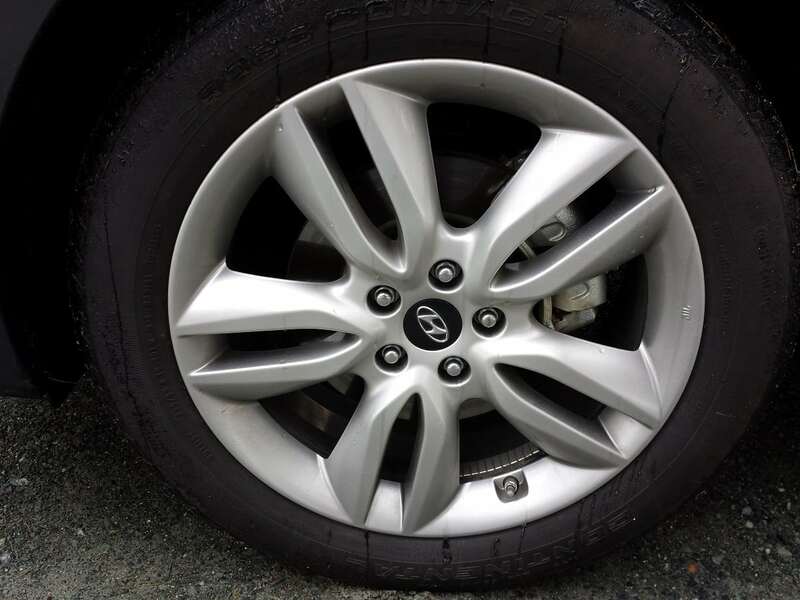 Outside the Hyundai’s styling stands out. It has a premium look and is very sleek. It stands in stark contrast to a frumpy Mitsubishi Outlander or boxy Jeep Grand Cherokee. If the new Nissan Murano hadn’t just stolen the show, I would call this Santa Fe the best looking crossover in its class. One of the best aspects of crossovers is that they are much easier to get in and out of than a sedan. Hyundai makes it even easier with its active driver’s seat. The seat moves back automatically when you park. When you get back in it moves up to the pre-set location. This is something you might expect on a Lexus RX350, a leading premium crossover I found myself mentally comparing this Hyundai to often during my test. The back seats are roomy, and the front seat passengers don’t need to move up to make space. The cargo area is outstanding. It is large for the class, and the floor has great storage cubbies for all kinds of stuff you need to lug around, but don’t want to just leave back there to roll back and forth. The spare tire is under the Santa Fe, which is just smart. The Sport comes with two engine choices. 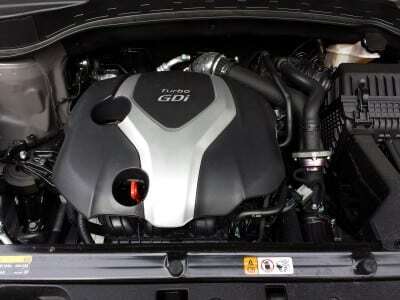 One is a standard four-cylinder, the other is the excellent 2.0-liter turbocharged engine my test vehicle came with. They get almost identical fuel economy. 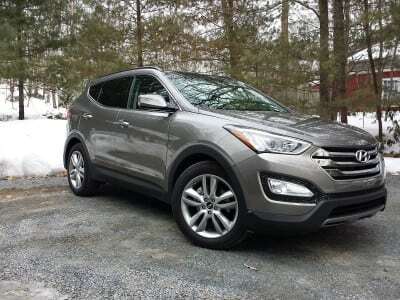 I have tested this turbocharged engine now in the Sonata Sport and also this Santa Fe Sport, and I have to say if you want a small turbo, this is the one to get. I liked it better than Mercedes AMG’s, Audi’s, and BMW’s. 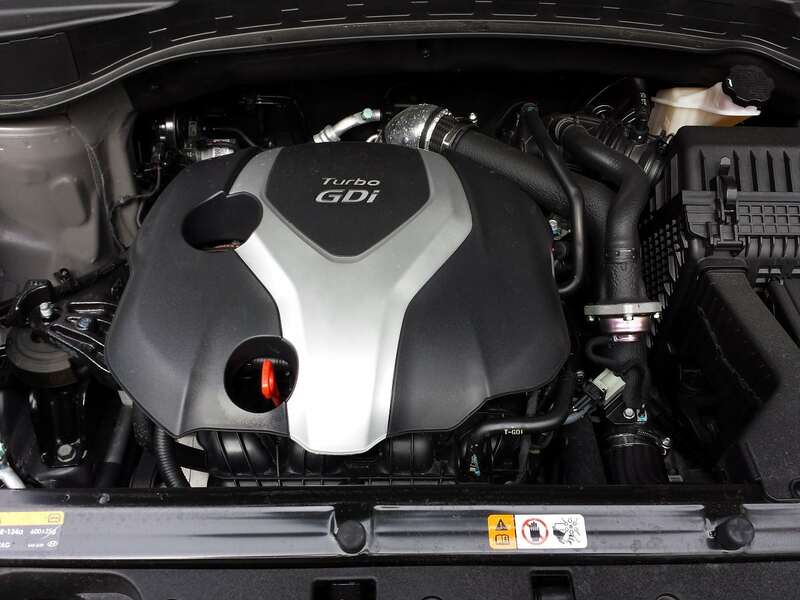 264 horsepower and abundant, instant torque make this engine very responsive. The exact opposite of the “premium” brand turbos I have recently tested. I found no lag in the engine at all. You add throttle, and it goes. No hesitation. Why can’t German car companies do this? The 6-speed automatic transmission was also perfect. You are usually in the gear you want, and if not, a toe of the throttle makes the Santa Fe downshift just perfectly to give you what you need. The transmission is not in the way. It just works. Fuel economy is not great. The 18 MPH city/ 24 highway/ 21 combined is no better than any 6-cylinder engine in its class I can come up with, and in fact, the combined MPG is the same as the Lexus RX 350, which has a V6 and uses regular unleaded (like the Santa Fe Sport). I’m still no fan of turbos, but this drivetrain works great, so why not? Around town, the ride is just right. The roads here are so bad it is ridiculous, but the Santa Fe handled it with no tire damage (like I suffered on a premium European crossover recently), and the handling is tight and enjoyable. The ride feels refined, which is a word I would use to describe the whole vehicle. Most crossovers are either stiff or sloppy. 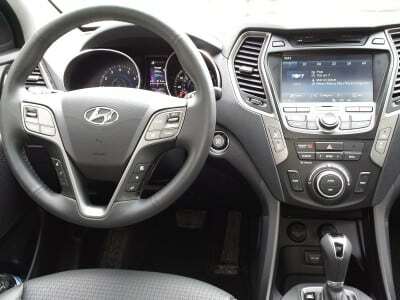 The Santa Fe Sport hits the sweet spot. The price of my tester was $ 38,350. Does this surprise you? It did surprise me. I would have expected about $34K given Hyundai’s lower than average durability ratings and history. However, the vehicle itself seems to justify a high sticker. One big glaring omission for a car in this class is forward collision prevention (FCP). The Hyundai Santa Fe does not offer it. That seems crazy to me. 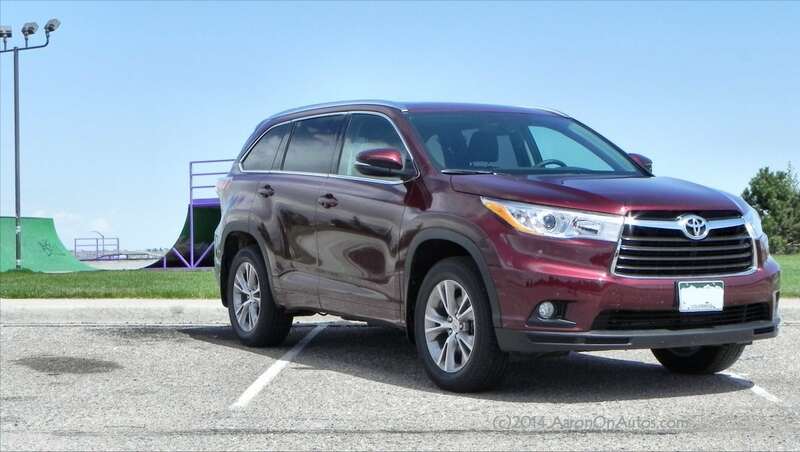 It eliminates the vehicle form consideration for the top IIHS safety rating, and most competitors now have advanced or even superior FCP in this class (Subaru Outback, Toyota Highlander, Honda CR-V to name a few.) 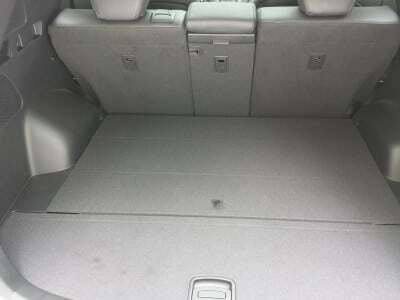 So I guess maybe this is the Hyundai Santa Fe Sport’s one weak area. For a family vehicle, this is pretty much unforgivable in my opinion, but maybe it doesn’t matter to some buyers. The Hyundai Santa Fe Sport 2.0T AWD is a very refined, very spacious, and very good-looking crossover in a segment that demands a great vehicle to even compete. If active safety is not a priority for you, and you are looking for a large compact, or smallish mid-size crossover, it is hard to image a better vehicle with which to start your search.